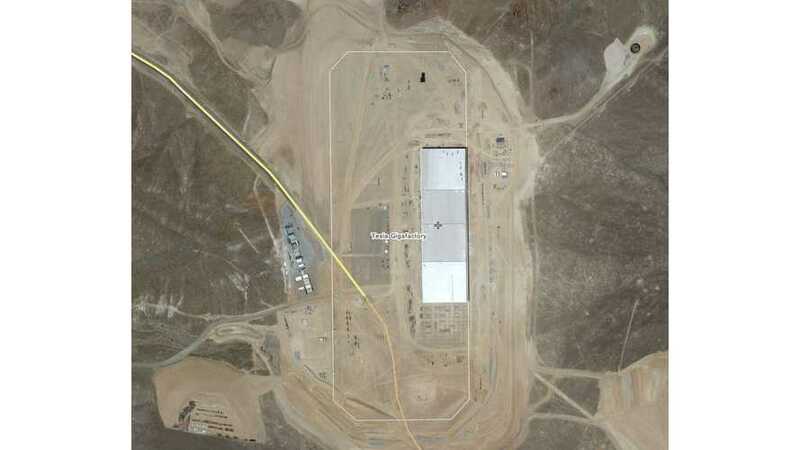 Via Wikimapia.org, we present this satellite image of the Tesla Gigafactory. If you look closely, you'll see the Gigafactory as it is today, as well as on outline of the 10 million square-foot projected footprint that the Gigafactory will occupy at some point in the far-off future (2020). The current Gigafactory occupies a space of approximately 500 meters by 150 meters (2 stories tall), but the project future Gigafactory is closer to 1,000 meters by 425 meters. The "small-scale" Gigafactory will open next year, but construction will continue on the site until it reach full size by perhaps 2020.